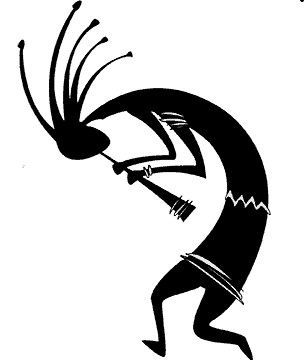 The Tushita Mystery School is not so much about the mastery of a subject but the Mastery of one’s person. The fundamental point of view of the Tushita Mystery School is to stimulate and draw out the unique gift each person enters this life with. It is not about superimposing another belief system or religion or social programming onto the individual, but, rather, helping the individual towards the empowerment and enjoyment and satisfaction of their own purpose of Being. Is the Tushita Mystery School associated with any religion or religious group? No. 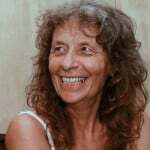 The point of view of The Way of Life is based on the living teaching of wisdom masters and teachers, who have realised their true nature, which is the true nature of you and me and everybody (we just haven’t fully realised and embodied it yet, which is why we might want to attend the Mystery School). Realising your own true nature makes religions-as-we-know-them obsolete. At the same time you could say that realising and living your own true nature is the only religion, where our innate intelligence becomes the cultural system of behaviors and practices, world views, ethics, and social organisation that relate humanity to an order of existence. Not some outside authority or scripture or deceased god-realised master. 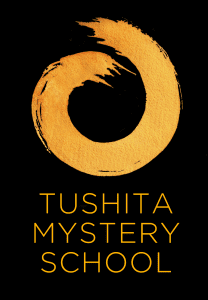 Who can attend Tushita Mystery School workshops and retreats? Anyone. If a workshop or retreat or introductory event appeals to you, it is for you to do if you so choose. Also, as the wisdom teacher Yanchiji explains: “The Mystery School is dedicated to the advancement of love, service, cooperation, and understanding, in relation to all beings and all dimensions of society. Tushita Mystery School is founded in the realisation of the holistic human being, and is therefore committed to drawing out the innate gifts towards humanity and all nature that every one of us comes with. What do I need to bring to a workshop or retreat? To whatever degree you can, bring an open heart and mind, plus whatever basic personal belongings you need to use on a daily basis, and (for most workshops/retreats) Koha/Donation for the teacher. Food, accommodation including linen are provided, and there is a tiny “mobile shop” where you can purchase items such as notebooks, pens and toothbrushes. There is also a small local dairy just up the road at walking distance, supplying the local community with daily needs. How much does it cost to attend a workshop or retreat? Workshops and retreats are individually priced, depending on the type and the length. Please check the information provided for each workshop, retreat or event you are interested in. Some of the introductory and public events are free of charge or by donation/koha only. Most of the workshops and retreats charge for venue, food and accommodation only, and ask of you to give a donation/koha for the teacher. Where is the Tushita Mystery School? Many of the Tushita Mystery School courses and retreats take place at the Tushita Hermitage in Northland. This setting offers a specific context where people can simply be themselves, enjoy their natural, inherent OKness in a supportive and beautiful environment. The Tushita Hermitage is not open to the general public. Any attendance at Tushita Hermitage is by permission only and must be arranged beforehand. The Tushita Hermitage is located at Oruru Road in Peria Valley, Northland New Zealand. Click here for more details. Tushita Hermitage is a peaceful and vital place set apart for human beings to discover and empower and live the One they really are. It is a place where you are helped and un-conditionally encouraged to be the One you are without judgment. It is also the home of the Tushita Mystery School and it is the hermitage of the NZ born wisdom teacher Yanchiji. Click here for information about an entire 3-day introductory weekend about Tushita Ashram and The Way of Life, or here for “glimpses of Tushita Ashram”. What does it mean to be a “formal student’ of the Tushita Mystery School? Some of those attending Tushita Mystery School are drawn to practice and explore this way of life, emphasising our inherent OKness in a more formal way. This includes a sincere desire to put into practice the learnings and understandings that arise from a more unproblematical relationship to life – in all the areas of our life. It also includes visiting Tushita Hermitage with Arohananda Ma or Yanchiji being the guiding teachers during this time and coming to Listening Groups (currently in Wellington, Auckland and Peria Valley). There are no tests, beliefs or monetary requirements to become a formal student. Studentship by its very nature is open to us all. Click here to read about an introductory visit or here to read a bit more about “studentship”. This is unless stated otherwise, so please always double check the information for the workshop/retreat/event of your choosing. What are the origins of the Tushita Mystery School? The teaching of the Mystery Schools is passed down through the lineage of Masters and the Community of Realised Wisdom Teachers. The Mystery School serves both as the Teaching and Revelation of our innermost knowledge of life and the Protector of our Real Humanity. The source of inspiration, creation of and commitment to the Tushita Mystery School is in response to the living teachings of Yanchiji, who currently resides at the Tushita Hermitage. 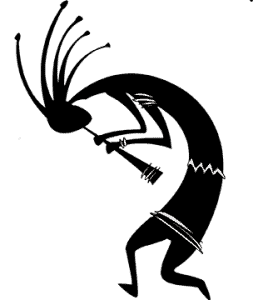 Click here to continue reading about the origins of the Tushita Mystery School. 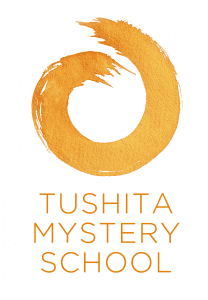 Tushita Mystery School offers courses, retreats and workshops throughout the year. Here are the latest course listings.